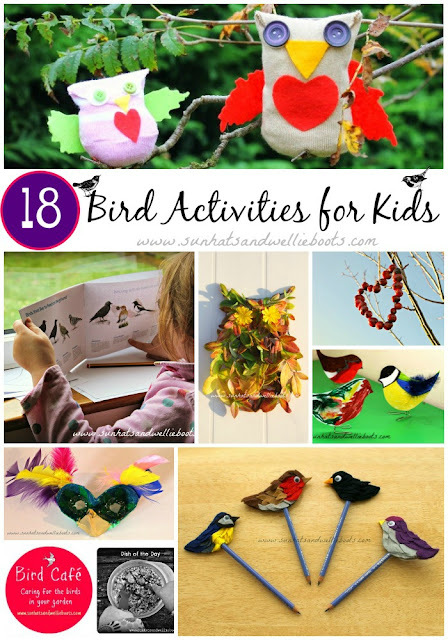 We're celebrating Spring with 18 of our favourite bird activities. Whether you're looking for outdoor activities or indoor crafts there's something for all mini ornithologists to explore here. 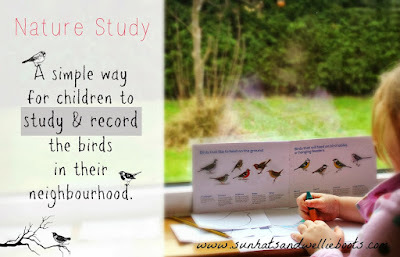 :: Create a Bird watching station to observe & record the birds in your garden. 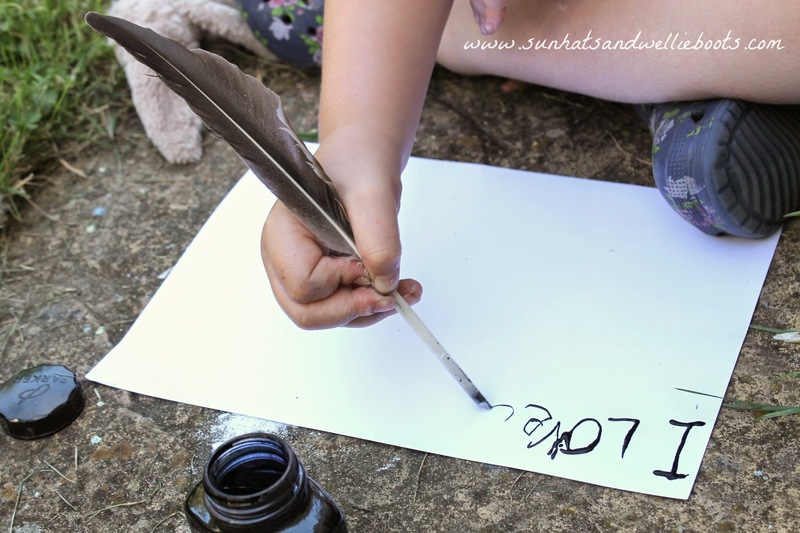 :: Make some Wild Bird Pen Toppers to help you draw & record all your observations. 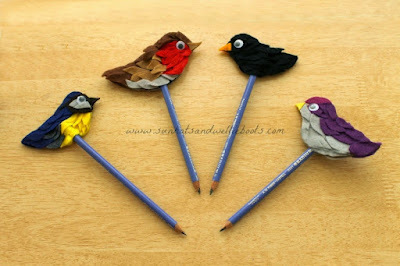 They also double-up as great little storytelling puppets too. :: Design some Paperclip Birds. 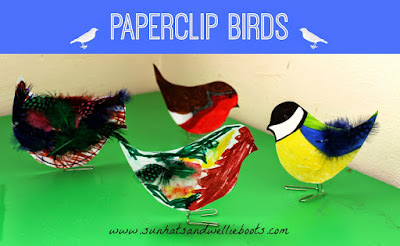 :: This Garden Play scene is ideal to use with the Paperclip Birds, & even includes pop up worms! 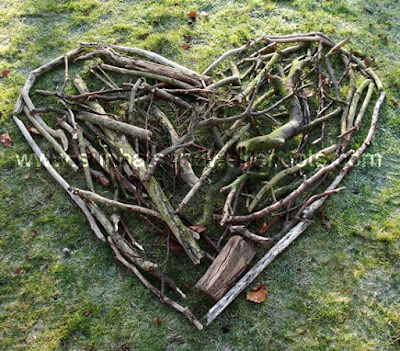 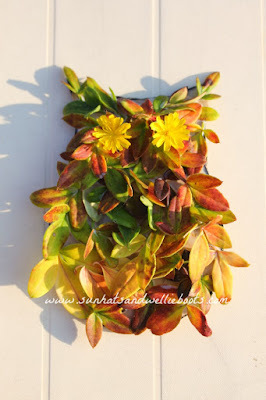 You could create different scenes or different landscapes such as a forest, beach, garden. A fun way for children to consider which birds would visit each landscape, & what food would be available for them ? :: Create a pop-up Bird Puppet in nest using a paper plate & twigs. 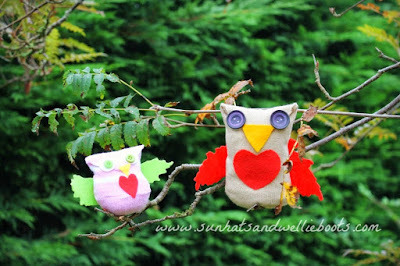 :: Create a super simple No Sew Sock Owl with some of the odd socks from your laundry basket. :: These Owl Peg Puppets are great for playing with indoors & outside. 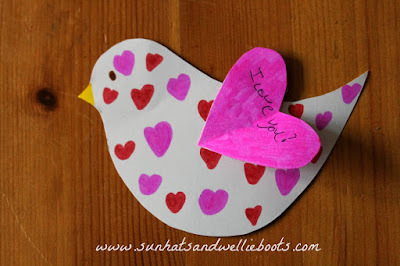 :: Spread a little love with these cute Bird Cards. 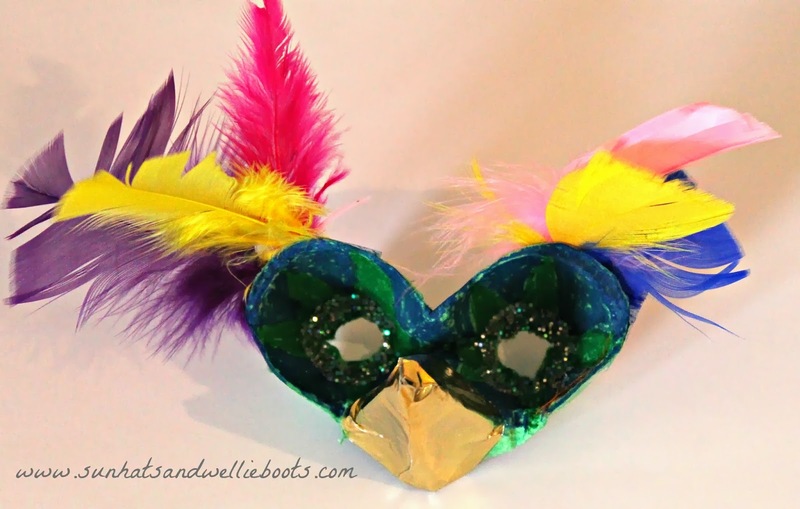 :: Turn an egg carton into a beautiful Bird Mask. 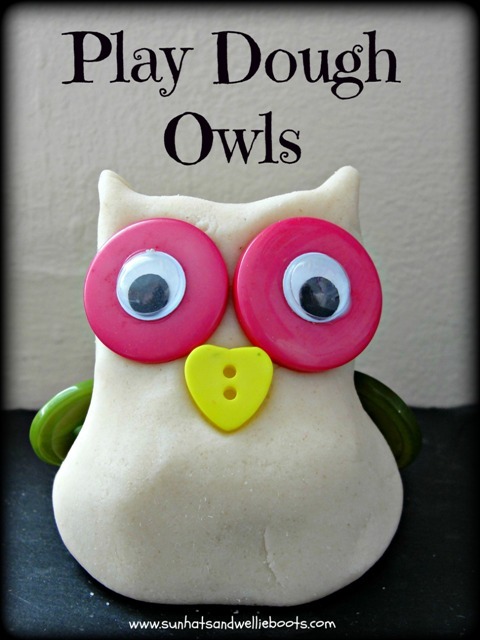 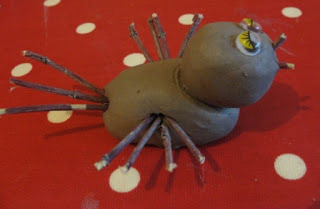 :: Create some Play Dough Owls with a few buttons & some homemade dough. 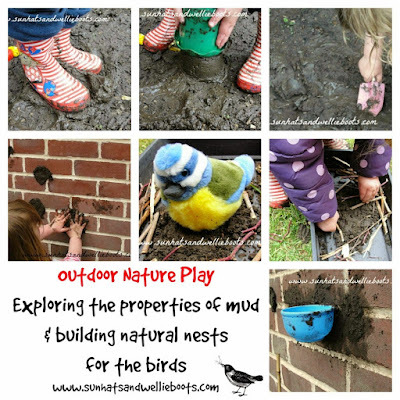 :: Explore the magic of mud in your backyard & build a Nest for the Birds. 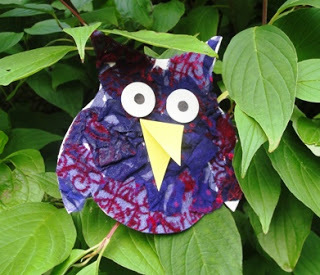 :: Create some outdoor art with these Nature Owls. 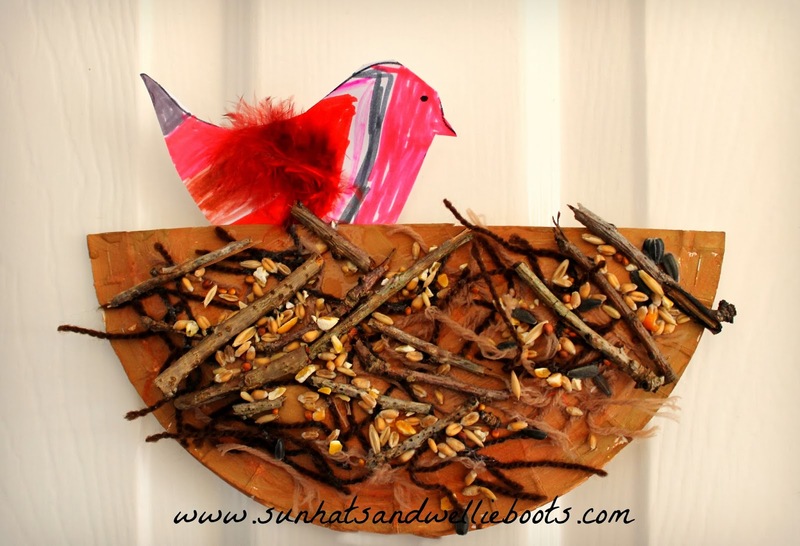 :: Discover what it's like to be a bird & build yourself a giant nest to sit it! 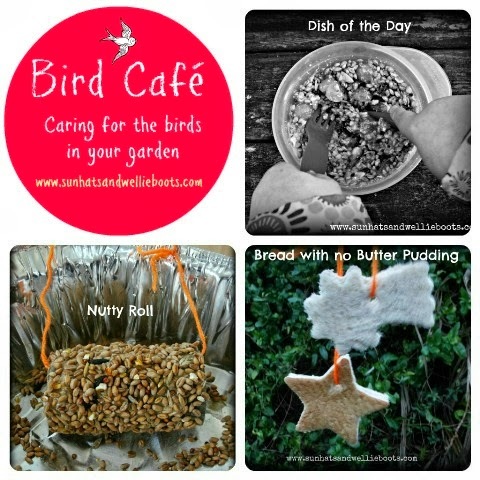 :: Make your own Bird Cafe. 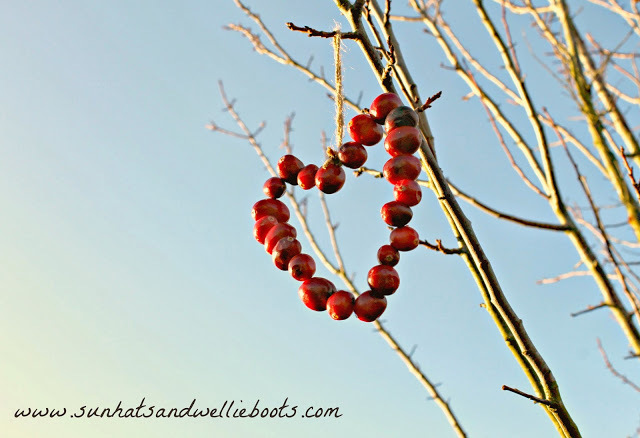 :: Give the birds in your backyard a treat with a Heart shaped berry bird feeder. If you're looking for more bird themed activities & games for children the RSPB have a great selection here.